Magical instruments. Serpents and sorcerers. Trials of character and courage. 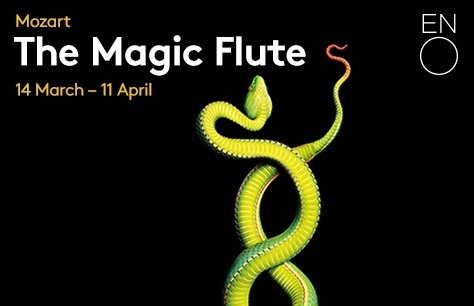 When you begin an enchanted journey to find love and wisdom, you have to expect delays on the way.. Mozart‘s timeless classic follows the adventures of Prince Tamino and the bird-catcher Papageno on their quest to rescue Pamina. To assist their mission, they are given musical instruments enhanced with magical powers, which they deploy to conquer the trials and tribulations placed in their path towards a deeper understanding of true love and happiness.